When we use the term “genre film,” we usually do not mean genres like romance and coming-of-age movies. It definitely covers horror and science fiction, but could also encompass thrillers, gangster movies, and maybe even westerns. Basically, it means somebody is going to die, probably pretty darn painfully. By that standard, the short films collected in the 53rd New York Film Festival’s Short Program 2: Genre Stories are as genre as it gets. The programming block starts out with its best foot forward. In Territory (trailer here), Vincent Paronnaud, Marjane Satrapi’s co-director on Persepolis and Chicken with Plums, takes us to the Pyrenees, circa 1957. Pierre is a rustic shepherd who can handle just about anything with his trusty herding dog. However, even he is a bit concerned when the paratroopers start landing. Soon he gets a good look at why they are there—and its decidedly Cabin Fever-ish or zombie apocalyptic. For a short film, Territory has massive scope. Paronnaud gets his money’s worth from the Pyrenees location and the genre business is suitably freaky. Obviously, it is far gorier than his collaborations with Satrapi, but it is worthy of their company. That is saying a lot too, because Persepolis is a straight up modern classic and you could make a strong case on behalf of Plums as well. In comparison, Stephen Dunn’s We Wanted More is a bit of a letdown. It is definitely the smallest film of the bunch, but he does pull off a rather macabre surprise. A child begat through a spot of body horror generally primes us to go in a certain direction, especially when she has perfect powers of mimicry, but Dunn zags the other way. There is no question Percival Argüero Mendoza’s Sânge is the most disturbing film in the genre program. It is the sort of horror film that hates horror films, showing what happens to a horror buff like Cassandra and her film snob boyfriend when she insists on attending a sketchy Romanian found footage film the ominous Petru Beklea is four-walling in a decrepit, out of the way theater. Let’s just say it looks unnervingly realistic. Seriously, this is a film that could really mess some people up. For something completely different, Helen O’Hanlon gets downright whimsical in How to be a Villain. 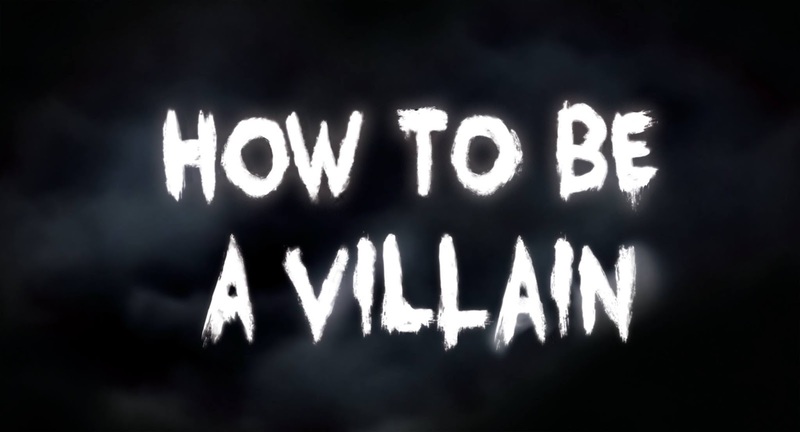 A distinguished evil gentleman will give us the 411 on super-villainy and how we can be a part of it. There are amusing lines, but it basically has the depth of a New Yorker cartoon. Still, Mark Stubbs’ mostly black-and-white cinematography and O’Hanlon richly detailed haunted house set design are wonderfully nostalgic for those of us raised on Universal and Hammer monster movies. The “genre’ definition is at its stretchiest for Andrei Cretuescu’s Ramona, but it has a grindhouse sensibility that definitely still qualifies. There seems to be quite a bit of backstory to the title character that viewers might not entirely pick up. Nevertheless, she is clearly out for payback and her determination is kind of awesome. For grittiness and sleaziness, it is tough to beat. Indeed, having such ill-tempered, exploitative short films at the New York Film Festival is a real treat. As the class of the field, Paronnaud’s Territory could fit in at any festival, but all of the films have at least some merit. Recommended for horror and revenge thriller fans, Shorts Program 2: Genre Stories screens this Sunday (9/27) and Wednesday (9/30) at the Beale Theater as part of this year’s NYFF.